Hey friends! Here is a link to my recent interview with America Adopts. Hope you enjoy! It has come to my attention that this link is no longer available. So, I have posted the interview here for you to read instead! 1. Let’s start at the beginning of your journey. When you first discovered you were pregnant, your world fell apart. Things were so bad that you even thought of killing yourself. What did you know about adoption at the time? About what the average person knows, that you give your baby to new parents. I had no idea all of the things that adoption encompasses and just how beautiful it can be. This is part of why I felt so stuck and was looking for alternative ways out. 2. You described yourself as selfish, but not stupid. And yet you still resisted adoption — why? Fear. I had such fear of going through with the pregnancy. I knew that being pregnant and not married was a social stigma (less so today), but at the time I did not want anyone to perceive me as anything other than perfect, which of course I wasn’t. 3. So what made you change your mind? I had a moment in the car alone when I felt like God spoke to me and said, “This baby is not for you.” That may seem harsh or overly intense to some, but I was somewhat relieved. The weight of the burden for raising a child is not something I took lightly. I knew then I would definitely choose adoption no matter what. 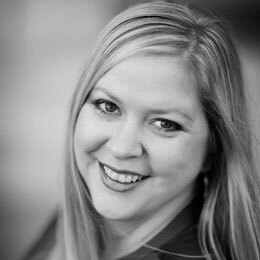 I thought there might be a formula, but when I started to do the research and went into Mercy Ministries, I found that adoptions are as unique as the individuals involved in them. My experience and my hopes for this little person could be tailored to fit my desires. 4. Your thoughts and feelings about adoption are directly tied to your relationship with God. How has one helped you understand the other? I think placing a child for adoption has helped me understand the father heart of God. I fell in love with my little boy from the first moment, and not because he had done anything. I loved him simply because he was mine, and I believe that is how God loves us. His love for us is before a good or bad performance, and we can have confidence in that. This revealing lesson revolutionized my view of God, and now I can live my life in response to that love. 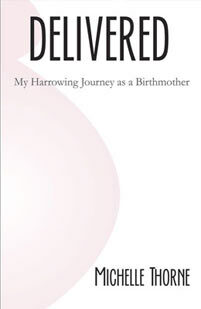 In all, my experience as a birthmother has been a catalyst for healing in all areas of my life. Without my journey to and through adoption I would not be who I am, I would not see God the way I do, today. Adoption is part of my freedom, part of my abundant life. It was fun to get to know so many different people through the books they had, no doubt, methodically put together. To me, it was like visiting a beautiful house of a friend’s friend and being aloud to look inside all the rooms. I would imagine my baby there in those houses and with that dad’s interests. I would think about the siblings, if there were any, and consider the mother’s involvement on a daily basis. It was like I got to create his story, which was sure to be much more rich of an experience than I could give him. 6. As you went through the parent profiles, you worried that you were being too picky. Did you ever feel like you wouldn’t find the right family for Dylan or that you were being forced to make unnecessary compromises? No. Mercy Ministries was exceptionally accommodating. I was told to take my time, look through as many books as I needed, and if I still couldn’t agree on one, then they would find a family that suited me. So, I didn’t feel like I compromised at all. Dylan is still thriving in his home with his lovely parents 12 years later. 7. Even after the placement, you write that you feared that placing Dylan for adoption would scar him for life– that “he would not feel loved because the woman who gave birth to him had given him away.” How did you eventually conquer that fear? Honestly, I kept that one hidden for a long time. It was on a visit to my friend Lindsay’s house that God revealed to me that Dylan was okay. Here is a quote from the book recounting the event. I was recently at my friend Lindsay’s house with my children for the afternoon. Lindsay and her husband adopted their son, Grayson, at birth a few weeks before Cadence was born. He is a bright, happy boy, full of life and mischief. I love him. When it came time for us to leave, Cadence did not want to go. To which she responded, “Daddy!” with such delight that I had to smile as she ran for the door. Grayson looked up at me with his beautiful baby blues and said, “Up.” I immediately bent down and picked him up. I am not sure if I can describe for you the feeling I felt at that moment. I believe the earth shifted under my feet. I couldn’t speak. After a moment I kissed him twice and then looked at my friend and said, “That is the sweetest thing I have ever seen.” He heard the word daddy and he wanted to go to his. I think you can learn very big things in very small moments. In that moment, I felt like Dylan’s daily joy and pain would have little, if anything, to do with me. I was one part of who he was, and because his parents were honest and open with him about his adoption and why I chose that for both of us, I felt in my heart that I no longer needed to fear that I had permanently damaged him. 8. You mention that people have no idea what to do with the information that you’re a birthmother. What are some of the some of the typical reactions you get and how do you react to them? I have had people ask me how I could give my baby away. I have had people tell me I shouldn’t talk about it, or that they could never do what I did. My reactions are mostly scripted now. The most prominent reactions I get are stories of adoption. Anything from the most amazing story of a baby longed for to horror stories of birthmothers changing their minds after the parents have bonded with the baby seems to be fair game. Because I am talking about it, others feel the freedom to talk as well. I like that. I think we need to talk more about adoption and demystify what is a beautiful way to have a family. 9. And yet, even in this age of social media, you point out that it’s hard to connect with other birthmothers. Why is that? In my 12 years since becoming a birthmother, I have only met a few women who were willing to talk about being a birthmother, and almost always their openness is in response to mine. However, since publishing Delivered, women are coming out of the woodwork to connect with me. I believe that birthmothers are the forgotten, or perhaps hidden, piece in the triptych of adoption, and I think that we all have a story to tell, a voice. I am hopeful that more birthmothers will begin to speak out and tell their side of the story. I know that every time I talk about my experience as a birthmother I get to celebrate life, and that is a very freeing thing indeed! 10. 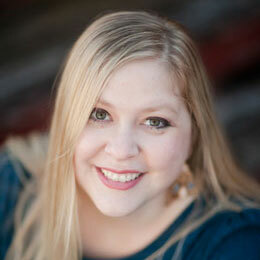 You’ll be speaking at a birthmother’s retreat this month. What message will you be sharing with them? I spoke at the BirthMom Bud’s retreat on May 5th, and my message was one of hope. I have found that placing a child for adoption is like the death of a child. It is a process to grieve the loss and then, move into celebration of that life. Grief is so intense at first, but as it wanes it makes room for joy. I thought for a long time that if I was not in the throws of depression that I was forgetting my baby. However, when I began to rejoice in the life that he has now, the life that I gave him, I found that I remembered him more often, and that it brought me a lot of freedom and joy. I talked about how we, as birthmothers, must grieve and we must also celebrate. 11. What message do you want expectant parents who are considering adoption and waiting parents to take away from your story? For expectant parents and waiting parents, I would hope that they read my story and see the heart of one birthmom, how adoption can be healthy and beautiful, and that they should feel free to really celebrate their child. Perhaps the last one is the most important. Because Noel was so excited and so in love from the first moment, it really helped me in my grief and healing. I knew I could trust her. I knew she loved him the way I did, and that was a very powerful thing. 12. I have two other questions I didn’t include below that I could add, depending on your thoughts: what was the most harrowing part of your journey? The most harrowing part of my journey was the day and following two weeks after I saw Dylan for the last time. Hands down. The grief was so intense and so constant that I couldn’t move without feeling its sting. I describe in the book a moment when I told myself to simply breathe. This is the part that everyone fears, but looking back, it was so brief compared to all the time since then, the time spent in joy and thankfulness for his life. 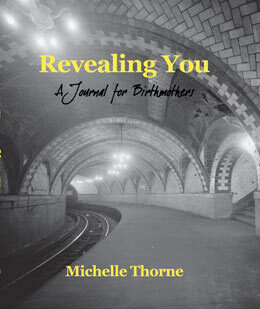 And 2) and this is mostly for me, a clarification really: the reference in the title of your book to your “Journey as a Birthmother,” are you referring to the time before the placement, when you were wrestling with your decision? The reason i ask this is some birthmothers take issue with the use of the word “birthmother” to describe a woman before the placement occurs. In fact, two birthmothers I follow recently wrote that calling an expectant mother a “birthmother” is a form of coercion. So i’m curious to hear your thoughts on that. I made my mind up to place my child for adoption very early into my second trimester. Even though I had not given birth, I considered myself a birthmother before he was born. So, I guess because I was referring to myself that way, it could in no way-just by definition-be coercion. However, I could see the concern. In Mercy Ministries it was never assumed I would do anything with Dylan until I did it. It was always my choice, up to the very end, and I imagine there are a lot of women who fluctuate from moment to moment up to the very end. It is a very hard decision and one that should be well informed.